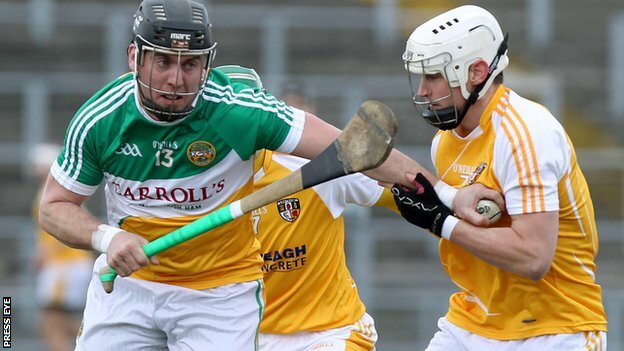 Following a meeting with representatives of Offaly Coaching and Games, Edenderry GAA are delighted to announce that John Leahy and Offaly Coaching and Games are committing to attending Edenderry GAA Thursday evening hurling sessions for a 4 Week Period. With renewed effort it is hoped that the outside assistance can help John, Enda and Paddy to get fully up and running for 2014. We are also delighted to announce that Sean Fitzgerald and Tom Reilly are also on board and Sean will be bring his hurling expertise of many years from Edenderry BNS. They will be working with the club to find further assistance to ensure that each young boy and girl will be able to play hurling in the club of Edenderry. Therefore, we would greatly appreciate it all interested boys and girls attending – ages U8, U10-, U12 & U14 will be catered for, this also extends to children in the surrounding Offaly Clubs that wish to play.